The Rubber Eel (Typhlonectes natans) is a species of amphibian in the Caeciliidae family. It is found in Colombia, Venezuela, and possibly Trinidad and Tobago. Its natural habitats are dry savanna, subtropical or tropical dry shrubland, subtropical or tropical moist shrubland, subtropical or tropical seasonally wet or flooded lowland grassland, and rivers. 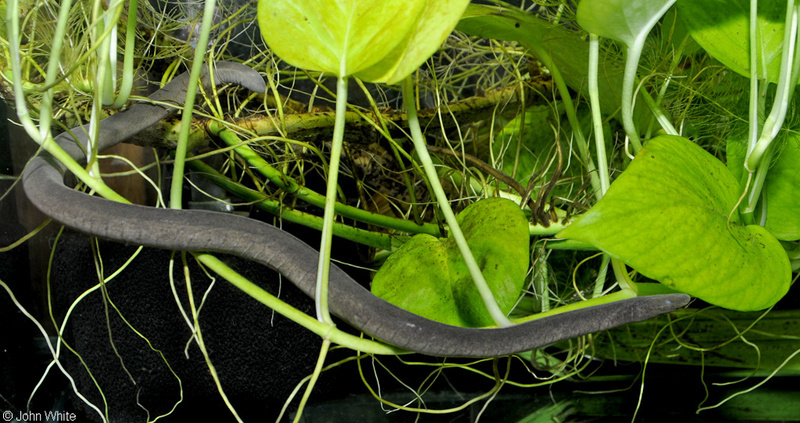 The rubber eel is commonly kept as an aquarium pet, and is sometimes sold as a "fish" in aquarium stores.